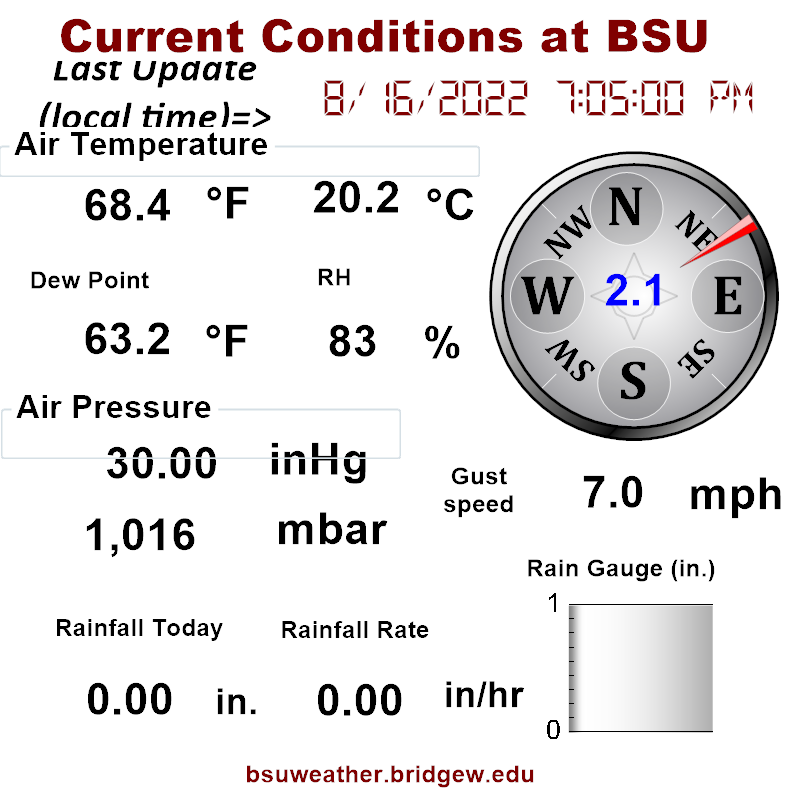 Bridgewater State University Weather is a program within the Geography Department which aims to help students get involved with and learn more about atmospheric science and meteorology. 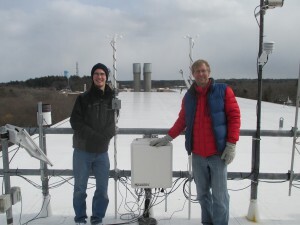 As part of our function, we also provide support to the research community at BSU by running BSU’s Wind Tunnel and maintaining weather stations on campus and at locations in Southeastern Massachusetts. To enable students to engage in atmospheric science by gaining hands on experience using the tools and techniques of the field. To encourage undergraduate research in meteorology in effort to prepare students for graduate school. To provide research support to the BSU community by running and maintaining weather stations and the atmospheric dynamics lab. This website is part of our mission to expand the reach of BSU Weather and to provide information to the community and prospective students about our program. Students have the chance to be involved as a student employee, undergraduate researcher, or as a volunteer assistant. Those interested in getting involved or learning more about BSU Weather or Geography are encouraged to contact Dr. Robert Hellström (rhellstrom@bridgew.edu) of Geography.